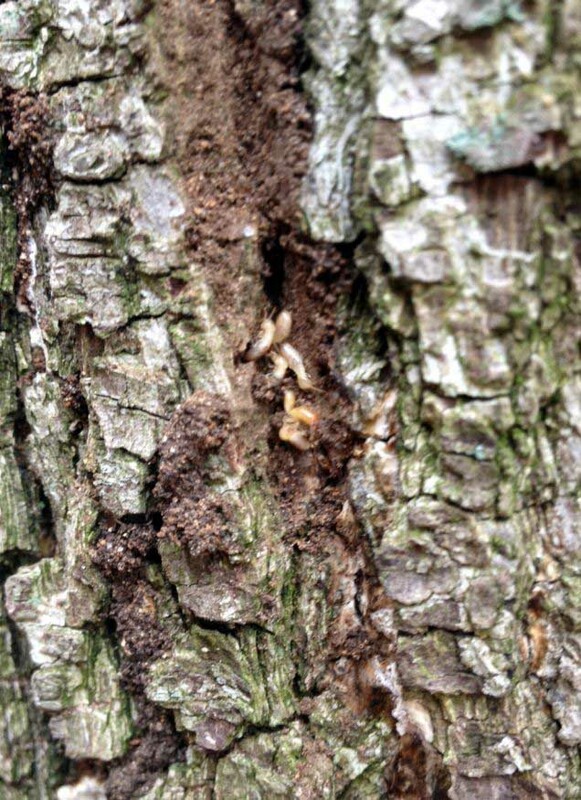 Termites are wood eaters…most of us know that. But it can be easy to forget how dying or decaying wood in our landscape can attract this destructive pest to our home. In this photo, the Bradford Pear had died from Cotton root rot disease. As time passed, termites were attracted to the dying wood and built a nest. Here you can see the insects inside the trails running up the side of the tree. Always call an arborist right away if you suspect your tree may have a problem or to remove dead trees as quickly as possible so as not to attract termites!